Disclaimer: YOU WON’T ACTUALLY BE ABLE TO WATCH THEM DIE in the PackTite™ because it will be zipped closed so it stays hot enough. But you may see dead or dried up bed bugs when you are done. Be prepared, it’s unnerving to come face to face with them, even when they’re dead. But it’s much more satisfying than when they are alive! 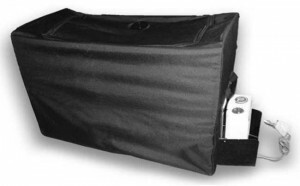 The PackTite™ bed bug oven allows you to leave your house knowing your objects have no bed bugs on them. After bed bugs, it allows you to go antique, garage sale and thrift shopping with confidence you can heat your purchases and they will be bed bug-free. Read and follow all manufacturer or other instructions that come with the PackTite™. ** HEAT CAN ALTER OR DAMAGE SOME ITEMS. IT CAN MELT OR LOOSEN GLUE, DRY PAPER, ETC. 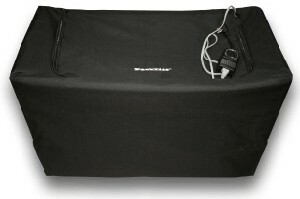 The bed bug heater is a fabric box with a heavy-duty wire frame big enough to hold something the size of standard airline carry-on or smaller. Inside the box is a heater w/fan, and a wire grate to allow air to circulate under your stuff. It comes with a thermostat that has a long cord. The cord goes inside the middle of your stuff. Examples are the middle of a folded blanket, the middle of a closed book, the middle of a bag of stuffed animals. You want the tip of the thermostat placed in the part of your things that will take the longest to heat to the killing temperature of 115-120. Bed bug eggs require an hour at least 115 to die. So no matter what, when the temperature reaches 115, you’ve got an hour from that point. The included timer will turn the PackTite off. The PackTite™ is lightweight at less than 20 lbs, and portable. When set up it is large enough to hold and heat a standard luggage carry-on at approximately 3 foot long x 1 1/2 feet wide. This means you could even fit most sofa cushions in thePackTite™; however, it is important to monitor the temperature carefully, as overstuffed items, such as decorator pillows and seat cushions could take up to 4 hours or longer to reach temperatures lethal to bed bugs. The PackTite™ comes with a thermostat you can read from the outside of the unit and a timer. The thermostat cord goes into the middle of what you are heating so the core temperature can be monitored. It is important that the entire contents of the PackTite™ reach the desired temperature to be effective. If you put books into the PackTite™, the thermostat cord would go into the middle of a book to ensure even and complete heating of objects.